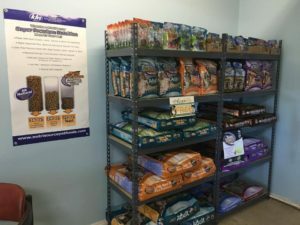 Support our mission - buy high quality pet food at our shelter store! WCHS is now proudly selling NutriSource dog and cat food, a high-quality line that pets love! When choosing a quality pet food, always check that the first ingredient is meat-based and not a filler like corn. 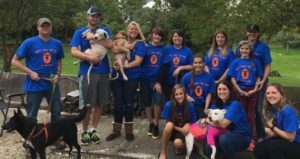 KLN Foods is supporting our shelter pets, and we offer their top of the line pet foods and training treats for sale to the public. We have frequent buyer cards available-buy 12 bags and get the 13th free. We also offer a 10% discount on pet foods for all volunteers who have logged in 100 or more hours. 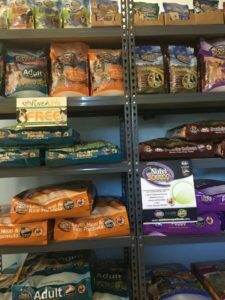 Not only will you find great pet food at our shelter (and samples to test), but your purchases directly support the animals in our care. 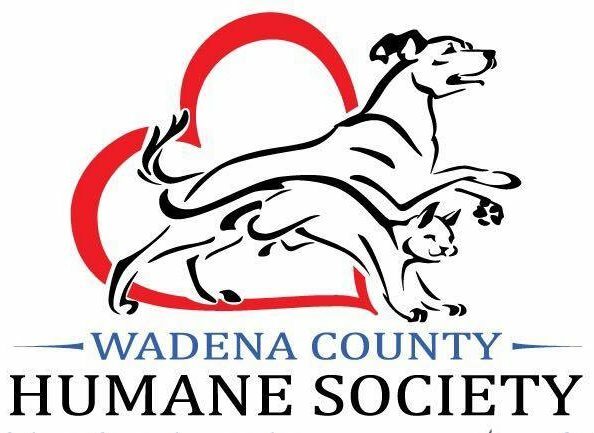 If you prefer shopping online, be sure to choose Wadena County Humane Society as your charity of choice on Amazon Smile and a percentage of eligible purchases goes directly to our shelter. Shop and support homeless pets!